Quality Commercial AC Repair Fort Lauderdale Fl Since 1986. Air Conditioning Excellence Inc. Proudly Providing Commercial Air Condition Repair in South Florida Since 1986. Air conditioning has proved its worth every summer, as high temperatures have made only the coolest of environments bearable. Ensuring that your commercial air conditioning continues to work for you as effectively and efficiently as it can throughout the year is an important factor in keeping your offices a pleasant and productive working environment. We have extensive experience across a wide range of types and most manufacturers of commercial air conditioning units – so not only can we diagnose faults quickly, we are also able to carry out a large percentage of your air conditioning repairs on the spot, too. We’re available 24 hour 7 days a week. Regardless of the type of repair or maintenance required, our Commercial AC Repair Fort Lauderdale FL technicians are qualified and experienced troubleshooters who are dedicated to getting your system back into top condition and running efficiently and safely. If repair is not the most cost-effective option, we will provide an assessment of your HVAC requirements and offer replacement solutions. Air Conditioning Excellence, Inc.'s Commercial Air Conditioning department provides reliable, high-quality commercial air conditioning repair, installation and maintenance service to businesses of all sizes. Our goal is to keep your system working at top efficiency to maintain a comfortable, safe and welcoming business environment. 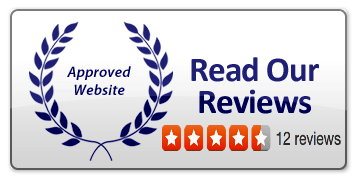 We are a specialist in the commercial air conditioning repairs market and believe we can offer you great prices and an unbeatable level of customer service. Air conditioners can be heavily used, particularly in commercial premises and during warmer months. As a result, they can experience wear and tear and their performance can deteriorate, meaning your unit will ultimately require repairs. 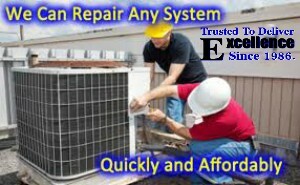 Here at Commercial Air Conditioning Excellence Inc. We’re experts when it comes to commercial air conditioner repairs and provide a comprehensive call-out service that allows you to take full advantage of our expertise and experience in carrying out repairs on all makes and models including Lennox, Trane, York, Carrier, Rheem, Bryant, American Standard, Amana, Westinghouse, Ruud, Day and Night. Our team always carry out repairs of the very highest standards, and pride themselves on their exceptional knowledge. We are happy to work on both commercial and domestic air conditioning units, and will always aim to be with you as quickly as possible. Based in Fort Lauderdale, we're well-placed to offer air conditioning repairs across the South Florida, Broward, Palm Beach and North Dade. No matter what the problem, whether your commercial air conditioner is not blowing cold air or is simply not working at all, you can be sure that our technicians will carry out efficient, effective commercial air conditioner repairs and have your unit working perfectly again in no time.